The headline number shows a striking 17.5% rise in prices last year in the SW15 postcode area according to the Land Registry. However, this is misleading as it shows only that people have been buying a higher proportion of more expensive properties rather than property in general becoming more expensive. Flats, which traditionally make up much more than half of sales in Putney have seen prices fall by 7.2% in 2018. The last three months of the year saw a continuation of trends seen in earlier quarters with buyers still willing to pay multi-million prices for large family houses but fewer and fewer people willing to invest in much cheaper homes. Once again in the final quarter no new build flat sales were recorded by the Land Registry. One estate agent said, "The fall in prices in the secondary market for flats has led to some developers holding off marketing schemes in the hope that if Brexit is resolved there will be some recovery. However, Putney flats are likely to continue to be a hard sell, Wandsworth offers better value, Fulham Reach offers better views and Hammersmith offers better transport links." There is concern that developers may be forced to abandoned uncompleted projects and will be hit by heavy losses due to unsold inventory on blocks that are already built. 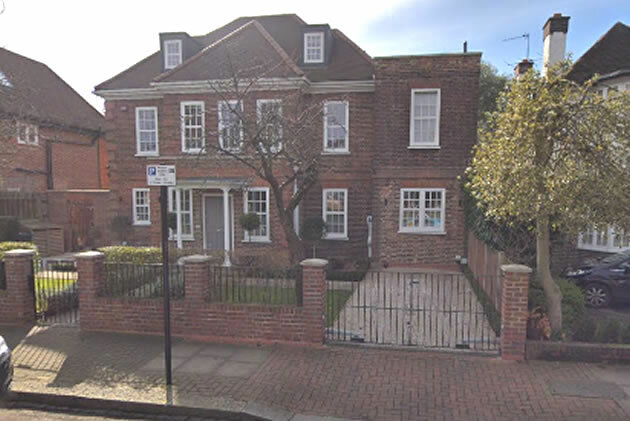 At the other end of the market the highest priced sale was a detached property on Egliston Road which sold for £3,850,000. In Roehampton a six bedroom detached house on Coppice Drive went for £3,485,000 and in January a house in Larpent Avenue raised £3,362,000, having been marketed at £3.5 million. Sales of houses seem to accelerating even at a time of acute political uncertainty. Some agents believe that the bottom of the market has been reached and feel that demand is starting to out strip supply. Managing director of Chestertons, Guy Gittins recently commented in Property Industry Eye, “Following two years of substantial price drops, the market is now bottoming out in London. Property values in the capital – particularly in prime locations – have now come down to a level that is proving increasingly attractive to potential buyers, driving a huge surge in the number of people registering with agents and buying property since January. This dramatic imbalance between supply and demand is starting to fuel small price increases in areas like Hyde Park and Putney as competition ramps up – and we’re even seeing instances of buyers attempting to ‘gazump’ others by offering to pay over asking price". UK house prices grew by 2.5% in the year to December 2018. This is the lowest annual growth for the UK since July 2013. London property prices fell marginally over the year with only the North East also seeing a decline. Tom Bill, Partner and Head of London Residential Research at Knight Frank said, "There are signs that pent-up demand is building. The number of new prospective buyers registering rose by 5% across prime London markets in 2018. Indeed, the ratio of new demand to new supply rose to 4.9 in the final quarter of 2018, the highest level in four years. While it is unknown when the current level of political uncertainty will recede, the conditions for a recovery in the London property market appear to be taking shape." Robert Gardner, Nationwide's Chief Economist, said, “Indicators of housing market activity, such as the number of property transactions and the number of mortgages approved for house purchase, have remained broadly stable in recent months, but forward-looking indicators had suggested some softening was likely. The Bank of England’s Agents’ summary of business conditions for 2018 Q4 reported that along with low supply of houses, demand was also falling. Housing activity in southern England was muted due to uncertainty, with transactions postponed until after the EU withdrawal. The demand for new build houses remained stronger outside London, in part due to housebuilders offering more incentive to finalise sales. The Royal Institution of Chartered Surveyors’ (RICS) UK Residential Market Survey for December 2018 reported that new buyer enquiries fell for the fifth month in a row. This fall in demand was accompanied by a lack of fresh stock coming into the market as the survey’s indicator on new instructions remained in negative territory for the sixth report in a row. The UK Property Transactions Statistics for December 2018 showed that on a seasonally adjusted basis, the number of transactions on residential properties with a value of £40,000 or greater was 102,330. This is 3.6% higher than a year ago. Between November 2018 and December 2018, transactions fell by 0.1%. The Bank of England’s Money and Credit latest release showed that mortgage approvals for house purchases (an indicator of future lending) were around 63,800 in December, unchanged from November, but slightly below their 2018 average of around 65,200.